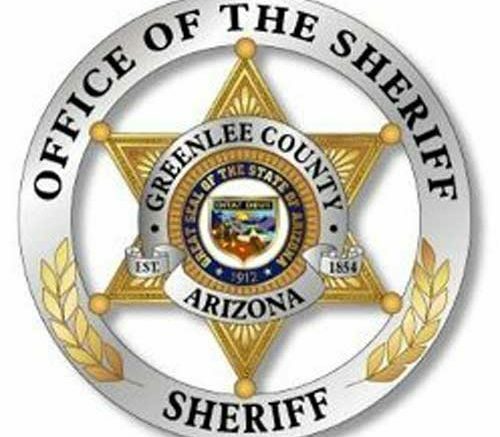 Following is a listing of bookings from the Greenlee County Jail from June 13, 2017, through June 19, 2017. All information is from the jail’s booking roster. While the following have been incarcerated, each person is considered innocent until found guilty in a court of law. Donald Delagarza, 46, of Green Valley, possession of a dangerous drug, possession of drug paraphernalia, probation violation, CPD. Andrea Tellez, of Clifton, warrant, CPD. Frank Johnston, 46, of Clifton, warrant, CPD. Esteban Lozano, 56, of Safford, warrant, GCSO. Christopher Reed, 33, of San Carlos, disorderly conduct, GCSO. Steven Roland, 30, of Clifton, disorderly conduct, GCSO. Chet Powell, 20, of Gilbert, warrant, GCSO. Shaylyn Madrigal, 31, of Duncan, possession of a prescription-only drug, possession of a narcotic drug, possession of drug paraphernalia, GCSO. Richard Hille, 45, of Duncan, aggravated DUI, driving on a suspended license, GCSO.